Play the Keyboard Stage 1 is a one-year course for beginners. It introduces all the basic skills involved in playing the electronic keyboard, enabling children to learn in a friendly and supportive setting. It's fun learning in a group, and ideas are presented in many different ways so that children are kept constantly engaged. The main course material consists of a book and CD with backing tracks and learning is reinforced through a variety of other activities and material. They also learn how to select voices and accompaniments, change the tempo and play simple left-hand chord accompaniments. Playing in time with backing tracks and auto-accompaniments develops their listening and ensemble skills. 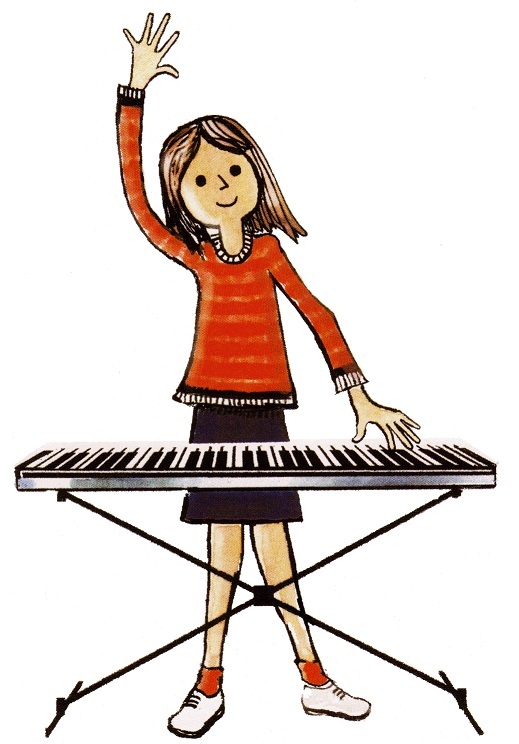 Play the Keyboard Stage 2 is for children who have completed the Stage 1 course. This is a continuation of Stage 1 but with more challenging music, improving dexterity and co-ordination. More complicated rhythms and finger patterns are used, with more left-hand than in Stage 1.